English rugby union player known primarily as a number eight for Harlequins FC and the English national squad. He is considered one of the fastest rugby forwards in the world. He played youth rugby at Maidenhead RFC. 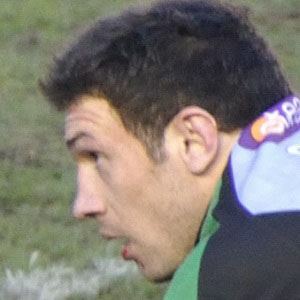 He was named the Guinness Premiership Man of the Match in a match against the Sale Sharks in 2008. He was born in Taplow, Buckinghamshire. He has been teammates with forward Chris Robshaw at Harlequins FC.